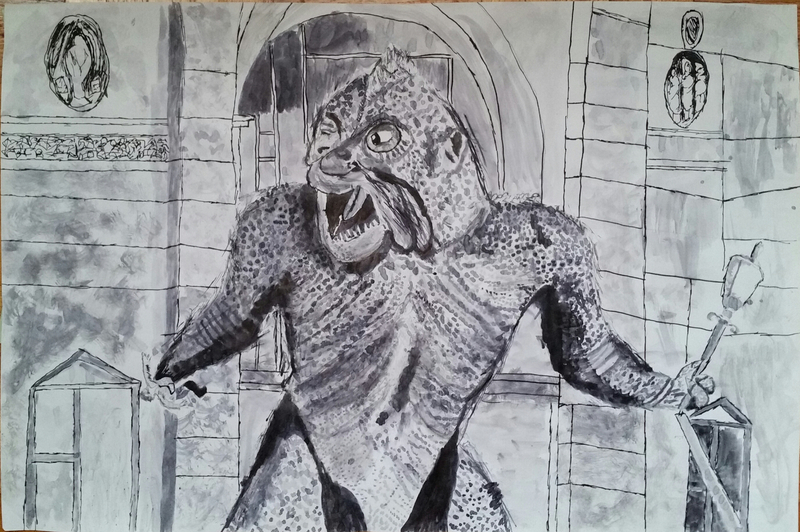 Ymir from 1957's "20 Million Miles To Earth. Drawn with pen and ink, brushes & scrap metal. One of Ray Harryhausen's great creatures.